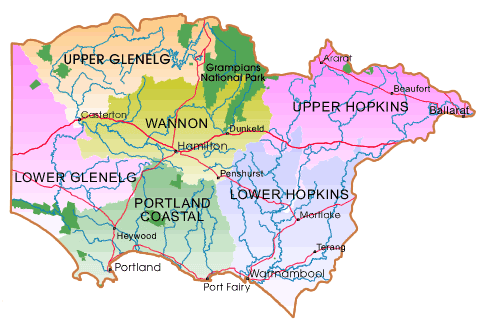 THE GLENELG HOPKINS CATCHMENT ENCOMPASSES THE GLENELG, HOPKINS AND PORTLAND COAST BASINS LYING SOUTH OF THE GREAT DIVIDING RANGE IN SOUTH WESTERN VICTORIA. 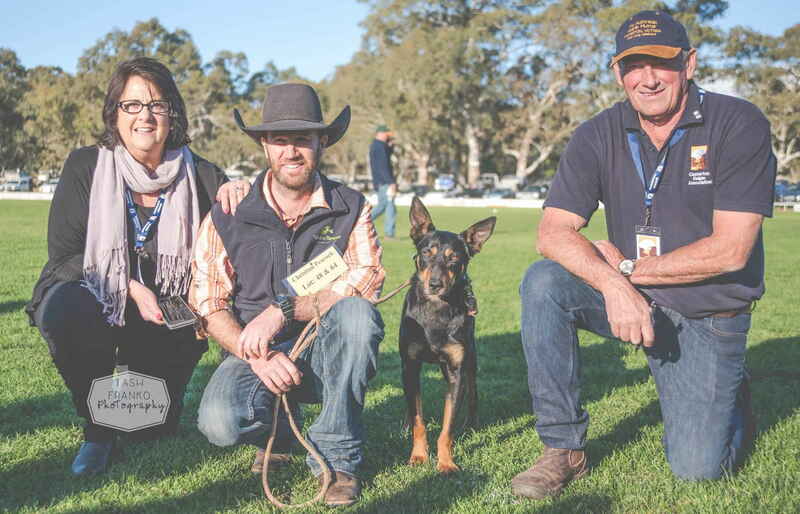 The region 25,000 square kms includes the cities and townships of Ballarat, Hamilton, Warrnambool, Ararat, Casterton, Mortlake, Port Fairy, Beaufort and Portland. Major employment sources of agriculture, forestry and fishing provide nearly 25% of total employment. Agriculture is dominant, with forestry and fishing largely confined to the South -west coastal parts of the region. Approximately 81% of the Glenelg Hopkins region has been developed for agricultural use. Around 2% of the catchment comprises pine forest, 16% is native forest and less than 1% is used for urban and industrial development.